So, what better place to study human behaviour than from behind the counter of a coffeeshop? That’s where Rebecca Perry toiled away for eight months, jotting down her observations, and then she interviewed other java slingers to expand her research. The final result, after a dramaturgical process: A play wherein Joanie Little, a Jane-Goodall-esque ginger, navigates her urban jungle. 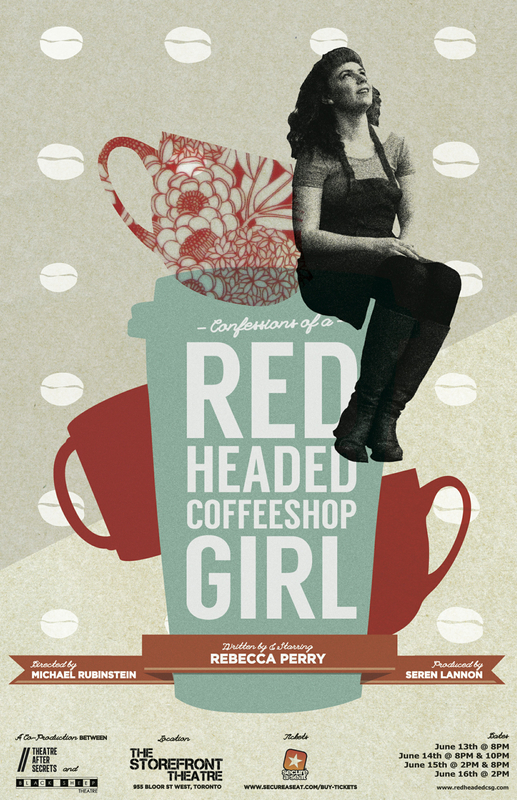 Torontonians can see Confessions of a Redheaded Coffeeshop Girl before our foibles are analyzed in front of audiences at the fringe festivals in Winnipeg and Edmonton and beyond. Posted on June 6th, 2013. This entry was posted in Fringe 2014, New Plays, One-Person, Theatre and tagged coffee, jane-goodall, rebecca-perry, solo, toronto. Bookmark the permalink.